How can I set up sleep mode in my iPad3? Please provide the step wise details for doing it. Which features or services have restrictions when using Air Plane mode on iPad3? What is the procedure for setting up Exchange ActiveSync in iPad3 tab? For going to sleep mode in your iPad3, you have to set up auto lock. By doing so, your iPad will automatically go to sleep mode unless you unlock it. Follow the steps below to do the same. There you will have an ‘auto lock option’. Just activate it and set time limit for waking up from the sleep mode. It is simple process to set the sleep mode in your ipad3.By setting the sleep mode you can save the ipad battery life because it will switch off the screen light in short time.So,implement the below tips for setting the sleep mode. ---> Tap the home screen by clicking the home button. ---> From home screen again tap the settings. ---> Now scroll down and tap the General option. ---> In this general option you will see the auto lock feature. ---> Here set the time how much you want to start sleep mode. ---> Finally,press the save option. You can also get this instructions from apple official website or you can also contact the nearest ipad specialist for settings sleep mode. go to home and then setting options , there you can see a option name general settings. here you find auto lock option . if you want you can set up a time to start sleep mode. save the option. i hope this suggestion will help you. The sleep mode is beneficial for saving the battery life of the device. It can be setup by setting up the auto lock feature with an allowed time out for inactive interval in the device. Open the settings option in your iPad. Choose the general option. Tap on the auto lock feature from the menu. In the new menu window, we can set the sleep time settings. - - > And then set time limit for waking up from the sleep mode. Then set the time for wake up the sleep mode. * Select the general option. * Now tap on auto lock option. * Now also set the time limit. first of all you have to tap on the settings on your home screen. and now just tap on the general option will be there. there you will observe the option is auto lock .in that you can control the sleep mode of that ipad.just click on that and then you will be asked to time to enter in which time it has to go to the sleep mode.in this way you can set the sleep mode of your ipad. - Tap on the general. - Select auto lock option. - Set the desired time limit. To keep sleep mode on your ipad, first view the menu and go for settings. In that, step into "general" and find the option named "auto lock" and turn it on. Now, set the desired time so that the device will be in sleep mode, during that time. Follow the steps, it's Simple. Sleep mode has been activated. ipad have 10 hour battery charging for a single battery.you can maintain your device's battery more than that by putting your ipad in sleep mode. Putting your ipad in sleepmode when it is not in use is the one way to extend battery's life,ensuring battery does not drained during key presenation or event of small business.If you have passcode setup on your ipad,you will need to re-enter it for wake up of your ipad from sleepmode. you can also set the time at which time you want to wake up your ipad from sleep.you can also manually make your ipad from sleep before a time. Press & Release "Sleep & Wake" button shown at top of ipad. screen will turn off and your ipad go to in sleep mode. Drag the "Slide & Wake" slider from left to wake your ipad from sleep manually. Select the time next to "Auto-Lock" to open the time list. By setting auto-lock time , you ipad will come from sleep mode after your setting time duration. View this video and I am sure this will solve all your problem! For setting up the sleep mode in iPad 3 u have to enable the auto lock feature. 1) First go to " Home screen "
2) Then tap on "settings"
5) Toggle it to " ON "
6) Enter the desired time for the wake up of sleep mode. Thus u can set up sleep mode in iPad 3. You have to set up auto lock. Then ipad will automatically go to sleep mode unless you unlock it. Follow the steps below to do the same. There you will have an ‘auto lock option’. And set time limit for waking up from the sleep mode. 1.From the Home Scree,go to "Settings"
Launch the home screen first. Now move to the settings option. At this step, click on the General option. Now click on the auto lock option. Turn it ON to enable it. You can set the desired time limit to activate sleep mode. ==It is simple to set the sleep mode in your ipad3. ==By setting sleep mode you save the ipad battery life because it will switch off the screen light in short time. ==So,implement the below tips for setting the sleep mode. 1ST---> go to the home screen by clicking the home button. 3RD---> press the General option. 4TH---> In this general option you will see the auto lock feature. 5TH---> Now you set the time how much you want to start sleep mode. 6TH---> press the save option. ipad is better,ecological & faster thing. 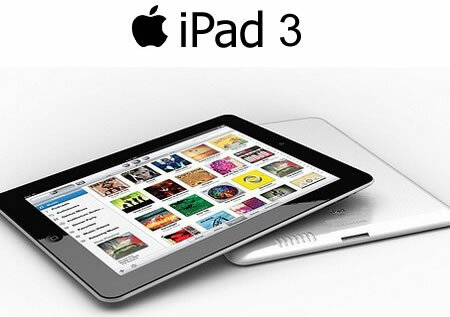 The following is the procedure for solving the problem of setting up the sleep mode in iPad3. After that you need to press the auto lock option. Then in order to make the auto lock option into turn ON position,it is to be turned ON. Now the time limit is to be setted which you want according to your choice. * First of all, you have to navigate from the Home screen to the Settings option....!! * Then you have to move on to General settings....!! * There you need to tap on the Auto lock option available over there.....! * After which the time has to set for waking up from the sleep mode......!!! * By this way you can set up the sleep mode in ipad 3....!! * Feel free to drop us more ipad queries......!! * Hope it helps you........!! Launch the home screen on ipad3. Touch the general>auto lock button. Now you can set the time for it. first you need to turn on your iPad.then you need to launch settings option.after you need to select the general option.then need to find the auto lock option.next set time limit for waking up from the sleep mode. to automatically go to sleep mode unless you unlock it . first go toopen the home screen and menu then open the setting option . after that move to general option in the general option you will see the auto lock feature. here set the time how much you want to start sleep mode. then the sleep mode will activate for that time. Go to home screen and tap on menu. now go to general option. then select auto lock option. * Now turn on this feature by tapping on the Toggle switch. My iPad time settings are getting affected when I put the iPad onto sleep mode. What should I do?